Printashrink TW3 is a 3:1 shrink ratio, commercial grade thin wall heatshrink polyolefin with a low shrink temperature. It is a low cost, fire retardant solution ideal for fitting over irregular or large components. Supplied in black as standard, diameters up to 50mm are available. It can be cut and printed as required. 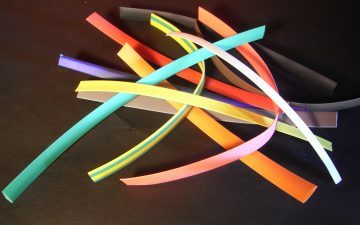 This high quality, UL approved commercial grade of heatshrink sleeve is ideal for insulation and protection purposes. 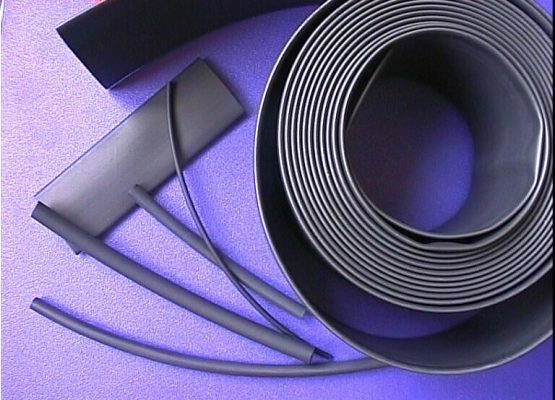 It is a very resilient tube used for mechanical protection, cable bundling and the protection of wires, cables, harnesses, connectors, terminals and electrical components. The 3:1 shrink ratio enables easy installation where irregular shapes and large components are an unavoidable factor of manufacture. We offer our full range of printing and cutting services on this sleeve making it perfect for identification, branding or marking purposes.